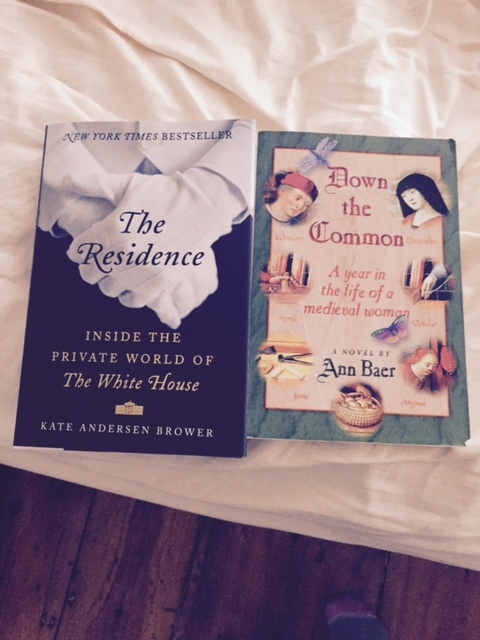 Today is one of those rare and wonderful days when I can shut the door to the outside world for several hours, appreciate the abundance in my life and, naturally, spend a lot of time working with my fiber. 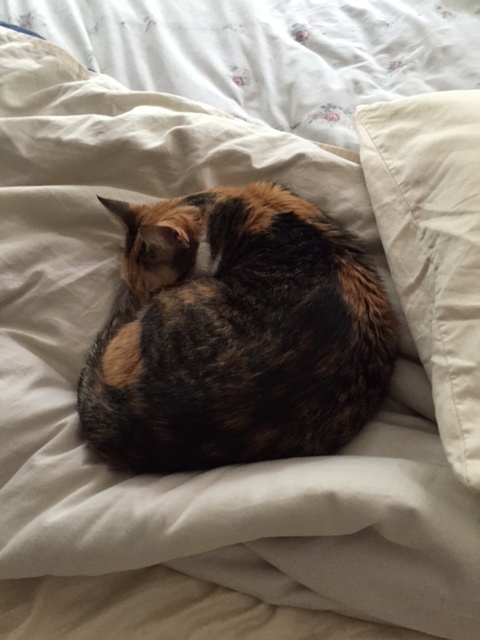 I can’t possibly take time to make the bed because the cat is sleeping on it. Mother Nature is on my side and it is raining so I don’t have to water. And I have an abundance of alpaca that I have dyed to work with all day long. Thanks to alpacas named Wilmington and Lenox. 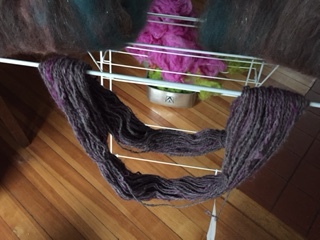 I have alpaca yarn and batts I have made which I can admire. 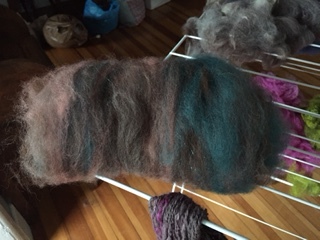 Alpaca batt for spinning from dyed and natural alpaca fiber. 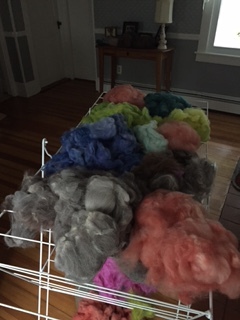 I can revel in the thought that even with this much alpaca I still have a lot more to wash, dye and enjoy in the future. 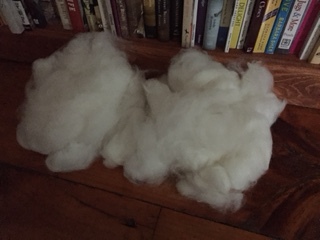 Alpaca to dye or leave white. 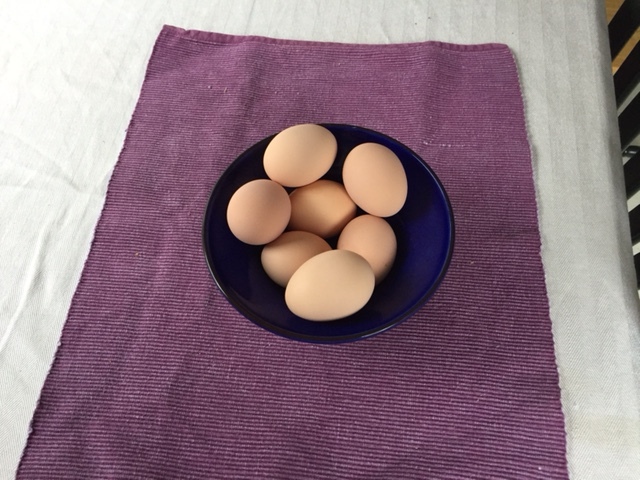 My chickens have even brought me lunch for today and longer. Thanks Lilac, Marigold and Daisy! Here is hoping that during the next week everyone can have a few hours to enjoy the abundance in their lives and emerge refreshed! I would love to hear about what is abundant and enjoyable in your lives. 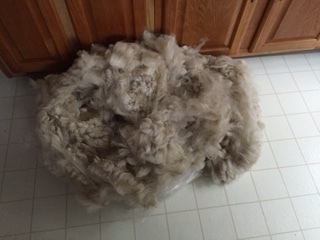 This entry was posted in Uncategorized and tagged abundance, alpaca, alpaca batts for spinning, alpaca yarn, backyard chickens, books, brown eggs, Buff Orpington chickens, cats, chickens, dyed alpaca locks, eggs, enjoying abundance on May 19, 2015 by Betsy Alspach.